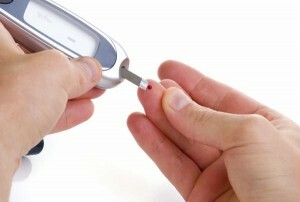 Diabetes is a set of conditions that lead to elevated level of sugar in the blood. It may occur due to i. No production of a hormone called Insulin by the pancreas. This leads to Type 1 Diabetes. It is juvenile onset and symptoms usually appear at a very young age, usually, before 30 years of age. It is mostly hereditary or familial in nature. ii. Decreased production of insulin iii. Resistance of body towards proper utilization of insulin to lower the blood sugar levels. Reason ii and iii lead to Type 2 diabetes. Type 2 Diabetes is also, predominantly related to uncontrolled weight. It is also known as Adult onset diabetes. The symptoms usually appear after 30 years of age. Though not an absolute expert about the subject, I manage to have a fairly good amount of knowledge about diabetes since I have to deal with patients who turn up with diabetes at my dental office…sometimes completely unaware that they have it! Over a period of days, you feeling the need to consume water very frequently. As innocuous as it may seem…this should ring a bell. the level of sugar in your blood rises due to lack if insulin or the insulin resistance developed in your body. The cells in your body are unable to utilise glucose due to lack of insulin. The body tries to get rid of the sugar overload by means of excessive urination. In process, you also lose lots of fluids and another compensatory mechanism of body switches on making you feel thirsty. the cells are unable to take glucose and use it for energy requirements. So, our proteins and fats start getting used up and there is a weight loss. This is an unhealthy one, though. A starvation like states develops in body due to fluctuating sugar levels. During the lows, a person suffers from hunger pangs. 5. Itchy skin especially in folds of skin. As the name itself suggests, there are some microbes that stay dormant, in our system for years and start causing trouble when the body immunity goes down. In diabetes, fungal infections are commonly found. Glucose or sugars or carbohydrates are the chief sources of energy in our body. When they cannot be utilized, a person suffers from fatigue. Angiopathy: pertaining to constriction of small blood vessels. Neuropathy: pertaining to destruction of small nerve ending. This is a result of neuropathy. This occurs due to angiopathy. Occurs due to angiopathy again. If you experience any of these, please do not ignore. Diabetes if controlled well would not interfere much with your lifestyle except for a few dietary changes and regular exercise. If left unchecked, it can attack any system or organ of your body. Include carbohydrates that are rich in fiber. Thus can include Switching regular white rice and bread with brown rice and bread. Including lots of fresh, green leafy veggies in your diet. You can have a plate full of salad every day. Switch your Colas, smoothies and fruit juices with coconut water and buttermilk. Take a high protein diet. Never skip your breakfast to maintain healthy blood sugar levels. Take 5 small meals instead of 3 heavy meals. Eat slowly. Chew completely and stop when full. Reduce butter and ghee intake. Exercise for 40 minutes at least 4 times per week. Thus can include brisk walking, swimming or aerobics too. Regular exercise can help your body respond better to the insulin that is naturally being produced by your body and helps in managing blood glucose more effectively. Exercise can lower blood glucose and might reduce the dosage of your oral hypoglycaemic medications. Always check your blood sugar before hitting the gym to avoid extreme fluctuations in sugar levels. Try to switch to low fat milk and its products like yogurt (curd). Diabetic foot is a complication of diabetics. Due to impairment in Sensations on toes and soles, you have to be extra careful while clipping your nails. Also, check the temperature of water while pouring it over your feet. Wear shoes and socks to avoid cuts, wounds and abrasions while going out. Keep your weight under check. Go for regular blood sugar checkups every week. To maintain a good eye sight take Vitamin supplements. You might want to consult your physician on this. Consumption of following foods has been found to benefit people from Diabetes. 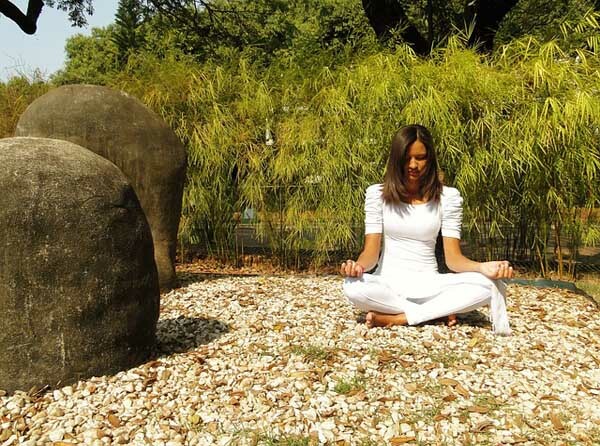 Practicing pranayama has been found to be beneficial in Diabetes control to some extent. I am explaining on simple form of Pranayama below that you may practice. Karela or bittergourd, methi or fenugreek, jamun or Indian blackberry, Garlics, onion, Flaxseeds, High fibre foods. The word ‘’Bhastrika’’ means Bellows. This Pranayama provides your body with maximum amount of oxygen. This exercise involves, sitting comfortably in Padmasana followed by normal breathing and relaxation. Now, start breathing deeply and completely to infuse your lungs with oxygen. Thereafter, breathe out forcefully. Repeat this for 5-10 times. This exercise should not be practiced by people suffering from any heart disease.